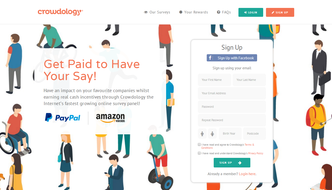 Crowdology is an independent survey site. The site is similar to the CFS Panel as it is powered by popular market research site, Cint. Crowdology has many thousands of members making them one of the Internet’s fastest growing panels. 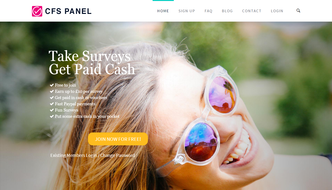 This website helps leading brands to improve their products and services through paid surveys. By completing these 2 – 15 minute surveys you are paid between 40p and £10 for each one. The app which you can download after you have registered with Crowdology is different to other survey sites as it combines all the Cint survey panels that each person is a member of in one place. This allows you to easily make more money whilst on the move. To get started at Crowdology you must first register your details on their website. (The website is fully responsible if you are registering on your smartphone/tablet) Once you have filled in your details you will be sent an email which you must click on in order to activate your account. After logging in for the first time it’s recommended that you head straight to the profile area. Filling in your profile in full will allow Crowdology to learn more about you and in turn send you many more relevant surveys. The Opinion App is owned and operated by market research company, Cint. It can be found on the Google Play Store and IOS App store or downloaded directly from the Crowdology survey invitation emails. The app is different to other mobile apps as it combines any panels that are in partnership with Cint together in one place. You only need to be a member of one or more of these panels (using the same email address) to be able to log in. There are more than 1500 panels partnered with Cint in 65 countries, a list of the most popular panels can be found here. 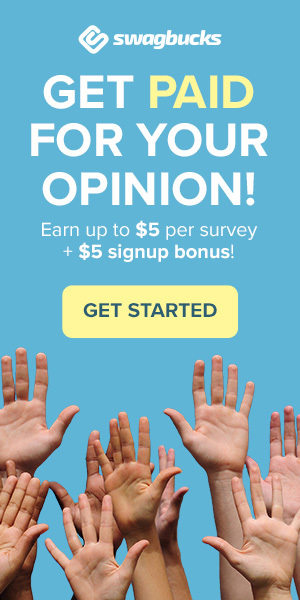 It is well worth joining a few of these panels as when you log into the app each available survey is unique to each panel so you can earn a lot more money a lot faster! When you log into the Opinion App you can scroll through the panels that you have previously joined and any available surveys. You can then take these surveys within the app. Once you have completed a survey your payment will be added to the relevant panel account. For the purpose of this review, this will be at Crowdology. You cannot claim your rewards through the app to do this you must visit the website. From within your account, you can withdraw your funds for an instant Paypal payment once you have just £4 on your balance. If you do not have a Paypal account or you prefer a different payment method then you can have an Amazon e-gift card once you reach £10. Amazon gift cards take longer to process but are usually sent within 2 – 4 weeks. You can request help via the contact form on their website. It states that all customer requests are dealt with within 24 hours. You must be aged 16+ and resident of the UK. The Crowdology website is as good as any of the other Cint powered websites but is a little better as you can cash out quicker from just £4 rather than £8 at the others. They offer a fairly decent amount of paid surveys each month without bombarding you with emails. Payments are fast (instant) and their support seems good. If you are new survey taker or take them regularly this is not one to miss out on. Please note: You must register through a Cint powered website in order to log into the OpinionApp. For the purpose of this review, we recommend Crowdology.